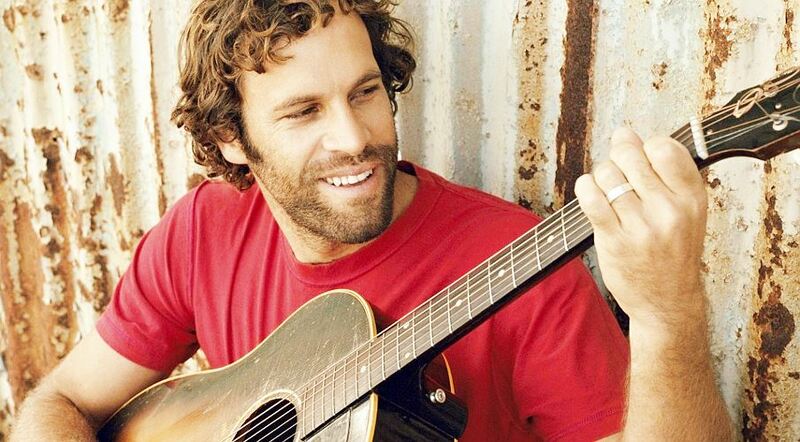 When it comes to living the ultimate lifestyle, Jack Johnson is our hero. Jack grew up surfing on the North Shore, and at age 17 he became the youngest invitee to make the finals at the Pipeline Masters in Oahu. He studied film at UC Santa Barbara and used his talents to produce and star in several surf movies, including Thicker than Water and The September Sessions. Jack then transitioned to a music career, achieving his first commercial success in 2001 with his debut album Brushfire Fairytales. Since then Jack has released five more albums, and his music has also been used in a number of movie soundtracks, most notably in Curious George (2006). Jack has been nominated for two Grammys as well as two Billboard Music awards for his albums, and has twice won ESPN’s Surfing Music Artist of the Year. Jack’s contributions to the environment are every bit as impressive as his musical achievements. Whether he’s working with youth groups, helping non-profits that support clean water, or finding ways to reduce the use of plastics in the entertainment industry, Jack strives to make the world a better place in everything he does. Jack’s amazing passion for the environment was recognized on June 5, when he earned the designation of Goodwill Ambassador for the United Nations Environment Programme (UNEP). Given all of Jack’s accomplishments, Conscious Connection was thrilled to have the opportunity to speak with this talented, eco-driven hero. Conscious Connection: Thanks so much for meeting with us, Jack. Have you always been passionate about environmental stewardship, or did that develop over the course of your career? Jack Johnson: My love for the environment grew from my love of the ocean, which of course originated with the surfing I did when I was younger. But really, it was my musical undertaking that led me to support environmental causes. When my friends and I were invited to local bars to play, we got to know people from those events that were active environmentalists for the Surfrider Foundation and similar organizations. From those relationships, things organically evolved and we began using musical gatherings to help spread the word and fundraise for these groups. As we traveled, we started meeting activists who worked to protect rivers as well. Before we knew it, we were helping groups protect watersheds all around the nation. At times, we’ve had up to ten groups manning booths out front at our shows. You know, we love making music for people, but it’s great that we can use our talents to serve a larger purpose. When we receive feedback from environmental groups that we’ve helped, that’s really motivating for us. From 2008 – 2013, we chose to donate 100% of our touring proceeds to our foundations and non-profits around the world. We felt like we were really lucky to be making a good living from our record sales at the time, and so donating our tour proceeds seemed like a perfect situation to have a non-profit wing of what we do. Conscious Connection: That’s really inspiring to see that you guys have worked to galvanize this generation into activism, not to mention what you’ve done in your own right. You and your wife also founded a non-profit of your own in Hawaii, right? Jack Johnson: Yeah. I think this stemmed from my experience as a camp counselor; it was then that I realized that I loved working with kids. My wife was a math teacher before she became my tour manager, so she liked to work with kids as well. With our backgrounds, starting a foundation to provide environmental education in Hawaii’s schools was just a natural thing. Jack Johnson’s recent designation as a goodwill ambassador to UNEP. Photo by Kizzy O’Neal. Conscious Connection: And all of this led to your recent designation as a goodwill ambassador to UNEP. Tell us about that. Jack Johnson: It was really an honor. I was given the title at a youth summit in the Bahamas, and it was a lot of fun to get to share my story and this honor with the kids at the summit. UNEP Goodwill Ambassadors help generate public awareness and understanding of environmental causes, and we are there to inspire broad, positive, committed action in support of UNEP’s priorities. Being a part of this cause is an exciting new opportunity. Conscious Connection: I understand that the ceremony tied in with your efforts to raise awareness about plastic in the oceans, right? Jack Johnson: The ceremony took place on Eleuthera Island in the Bahamas. While I was there, I participated in the Five Gyres SEA Change research expedition. There are five major gyres in the world’s oceans where plastic gathers. We visited the gyre between the Bahamas and Bermuda. The water there looks clear from the surface, but you have to realize that the area is 16,000 feet deep. We threw in a trawl, dragged it for an hour, and when we pulled it up the net was full of hundreds and hundreds of little pieces of micro-plastic. When we went swimming in the area, we swam down as deep as we could go and it looked like there was no end to the blue – it made you feel that you were far removed from the effects of man out there. But four times that day we threw in the trawl, and each time we pulled up hundreds of pieces of micro-plastic. It was truly an eye-opening experience. Conscious Connection: Along the lines of reducing plastic use, I understand you recently donated a gift to the Santa Barbara bowl? Jack Johnson: Yes. A huge problem in the music industry is single-use plastic at shows – all of those beer cups and water bottles and things. One way to reduce this waste is for venues to install water refill stations. Since the Santa Barbara bowl is one of the best venues we’ve worked with, we decided to thank them by giving them a water refill station. Thankfully, more and more venues are getting hip to the idea of cutting down on single-use plastics. One of the great things we worked out with the Santa Barbara bowl and the help of Clean Canteen is the sale of stainless steel pint cups for beer. The initial beer purchase with the cup is $10 rather than $5 for a beer; however, each refill is only $4 and the cup is re-usable all season long, so after 6 beers you actually start saving money. It’s exciting when I see a venue doing stuff like that. You want the industry you’re part of to be responsible, and with the far-reaching effects of single-use plastics that we saw in the Bahamas, we know for sure that this is a problem that needs to be solved. We’re hoping that our donation of the water-refill station will inspire other venues to follow suit. And I think having those kinds of incentives, even if it’s just saving a buck off a beer, will help to get people more involved and more inclined to use a re-usable bottle. You know, there are certain things that just shouldn’t be, and you can’t put the blame on anybody, it’s just where we’re at in society. Right now convenience is a pretty big deal for everybody, but I think we have to evolve to that point where we all decide that it’s not worth it. Take straws, for instance – they’re ubiquitous. We touch these things to our lips for a few seconds to make drinking a little more convenient, but then the straws stay around for thousands of years. It’s all a learning process, and it’s evolution, not revolution, but hopefully as a society we can get to the point where people don’t value this stuff anymore. Conscious Connection: What is your vision for a sustainable future, and how can we help address some of these challenges that we’re facing? Jack Johnson: I think one of the major things we need to do is to get to know the companies we buy from and make sure we are voting with our dollars. If we see a company that packages everything in plastic, and then we see a company with a similar product that is choosing to do things the right way, then we need to vote for that company by spending our dollars with them. In addition to our spending decisions, our investments can make a difference as well. It’s so easy to just look for the biggest return, but it can really make a difference if we think about the environment when making investment decisions and filter out companies that don’t share our values. This divestment/investment movement has huge potential to make a difference in the world. Conscious Connection: You’ve had great success doing what you’re passionate about, but you’ve also been able to have such a positive impact on the world. What would you say is your best piece of advice for people who want to do something similar? Jack Johnson: First, I want to say that there are great groups out there now that make getting involved very easy. For instance, One Percent for the Planet is a great network of businesses that agree to give one percent of their income to environmental non-profit groups. One Percent for the Planet is where we started when we wanted to do something, and it’s a great place to start for anybody. In terms of having a positive impact by doing what you love, a friend of mine recently told me about a book he read which essentially said, “Whatever you love most in the world, that’s what you should share.” I love playing music, I love surfing, and I’ve been lucky that I’ve been able to find a way that I can share those things and make an impact at the same time. So along those lines, I would suggest that you find a way you can share the things you love, the things that you’re passionate about, and the things you do well. Find a way you can share those things, and it will have a positive impact on the world.